Formosa Fun Coast’s Dust Explosion was occurred in 2015, and it caused many large area of burn patients. The autologous skin graft surgery is the best treatment, then Maria Von Med-Biotechnology Co., Ltd. contacted the autologous cultured epidermal cells (JACE) medical team of Japan Tissue Engineering company in Japan. 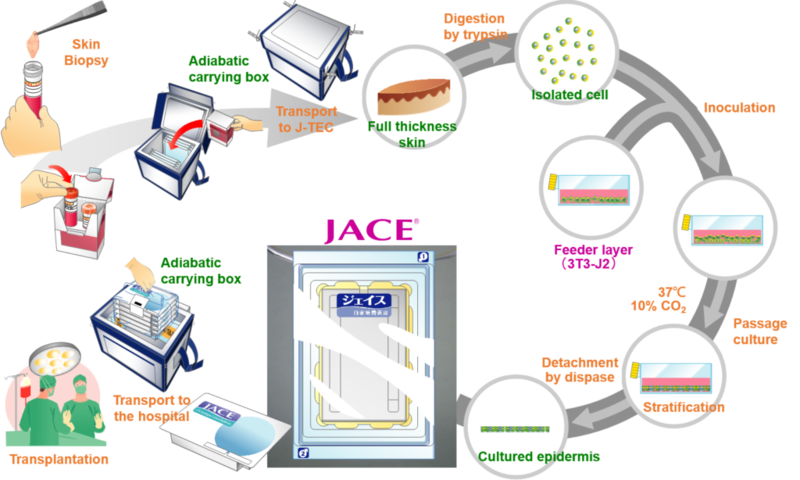 The proposal of autologous cultured epidermal cells Product had audited by Ministry of Health and Welfare and got the license.